Apologies, I've been super busy lately. Below are some links of interest. Genomic prediction of cognitive traits in childhood and adolescence (Plomin): predictor reaches correlation of ~0.33 for cognitive ability and ~0.4 for Educational Attainment. 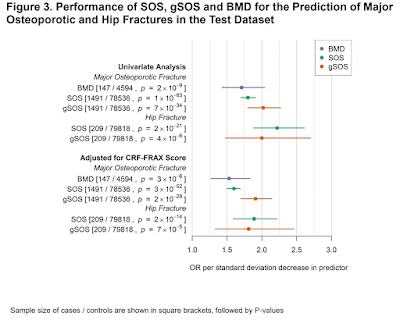 Machine Learning to Predict Osteoporotic Fracture Risk from Genotypes. Another potentially clinically useful result. I'd guess we'll have >10 good polygenic disease risk predictors within a year. Genomic Prediction and IVF in WSJ: Discusses eye color as well as our results. New DNA Tool Predicts Height, Shows Promise for Serious Illness Assessment. Includes podcast interview with me. Interview on Airtalk (KPCC Los Angeles NPR show). Figure from the bone fracture risk paper linked above. 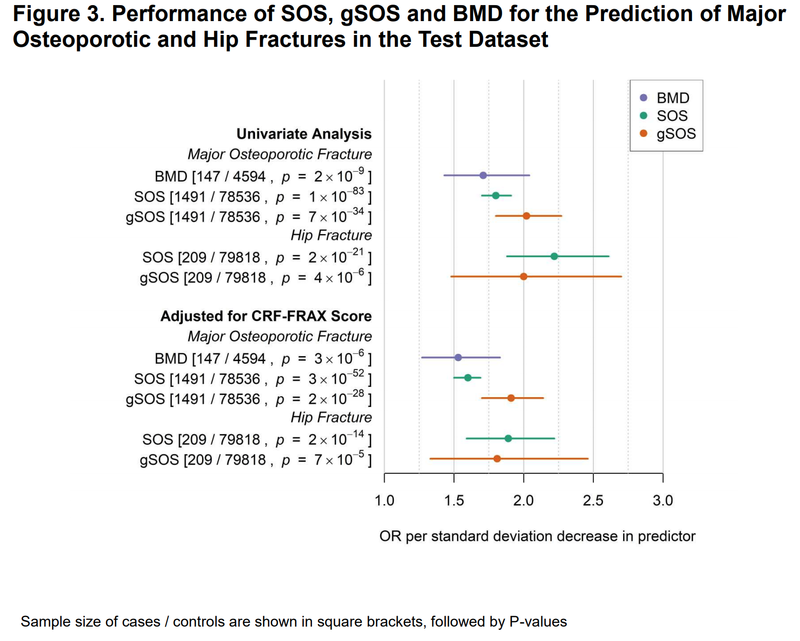 It appears that individuals with polygenic scores in the bottom few percent (highest risk) are ~4 times as likely to suffer a hip or other major fracture. Global R&D ~$1 trillion per annum?